The Miller was the one in charge of this project, but he had to leave. Luckily other members have picked up where he left off. His Q8 project was fine and his GT project was fine. I’m sure this project will be fine as well. Fritz is pretty much in charge, but he doesn’t frequent the BLF Forum often. Yes he does… but another thing we learned from the GT Project is there are people at Lumintop who do speak English. TA proved this when he got things ‘back on track’ in a time of no communication from Neal. What I read TK saying (and I hope I am correct) is there needs to be a point of communication between a designated person at LT & a designated person of this team. Communication that goes freely both ways & does not have to be drug out of the LT represenative. Communication that can then be shared, by the designated team member; with the readers of this thread. when it is ready, can you make a new posting? How would anyone find a new post in time? Short answer is….. they would not find it. 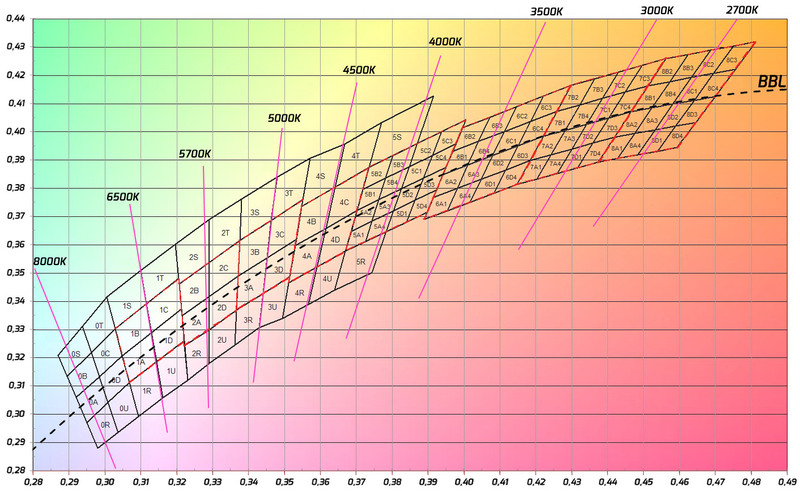 Compared to the Q8 & GT threads (their length)….. this one is very easy to follow. No need to start a new one. Put the info right here where most people will see it. Thanks for the update, can’t wait till it’s finally available!! Looks very nice. Can’t wait. Glad I am in for a couple so far. One of the better looking lights I have seen in quite some time. Very minimalist looking but what is lurking under the hood is amazing. That is a far cry from the raw machined looking finish of earlier pictures, but still looks nice. The latest prototype looks good! That latest prototype looks good!! Real good….. It really does. A big change from the original, as Jason said, but a must have, by my way of thinking. I really like the looks of this latest prototype. Looks very pocket friendly. The clip should hold very well. It looks like it will tailstand very well. The button looks like it will feel nice to operate without being prone to accidental activation. The optics are nice and open and not being blocked by the bezel. I just hope it won’t be all glued together so the emiters can easily be upgraded. I plan on putting some rosy 219b’s in mine. As far as I remember the raw machined lock where computer renderings. First lamp from Fritz machined was bead blasted. 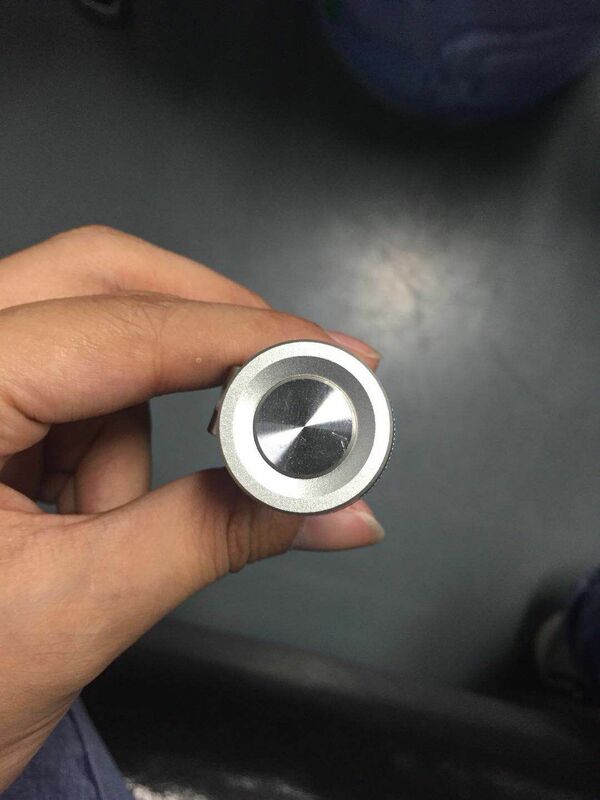 First prototype had a grey anodisation. I still like the surface finish of the first proto most, I would vote for the darker color of the tailcap. How on earth do you have a prototype when the actual FW3A team hasn’t heard from Lumintop for some time? 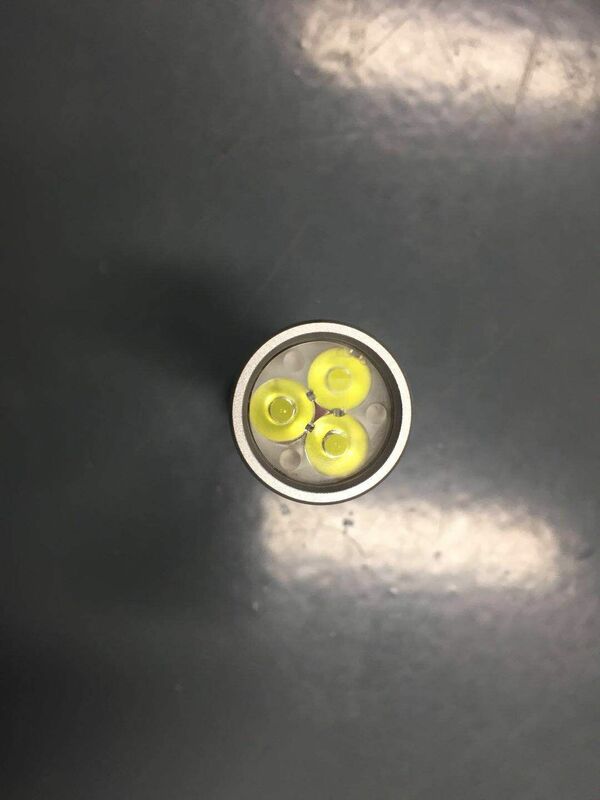 Maybe the pics are from Neal direct from Lumintop? How on earth do you have a prototype when the actual FW3A team hasn't heard from Lumintop for some time? Thanks for the pics Max. If its not going to have the raw machined look, than I think a darker gray anodizing would suit the light better. 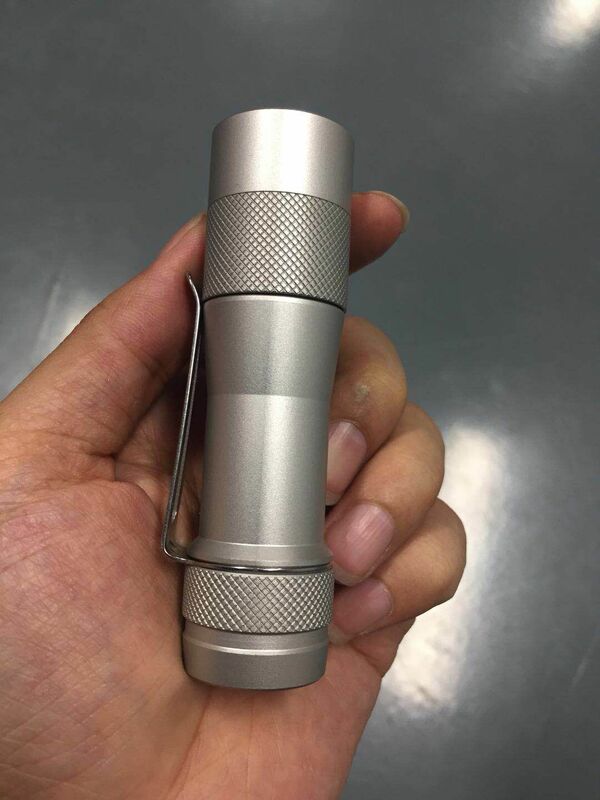 Will there be a LOTR edition of this flashlight, called “Eärendil”? I’m sorry but I am rather disappointed with the new photos, I don’t think the taper from the head works, it doesn’t blend with the more industrial look of the tailcap and clip etc, I prefer the original design which I think is more honest, and minimalist. I am particularly disappointed with the beadblast finish, which ISTM is simply a cheap way to cover up surface imperfections. I’d far prefer a raw “aerospace” machined finish, ideally with a true thick un-dyed HA-3 anodisation (which is naturally a dull gray-ish finish, and immensely durable). This would require fine machining and careful handling of the parts. 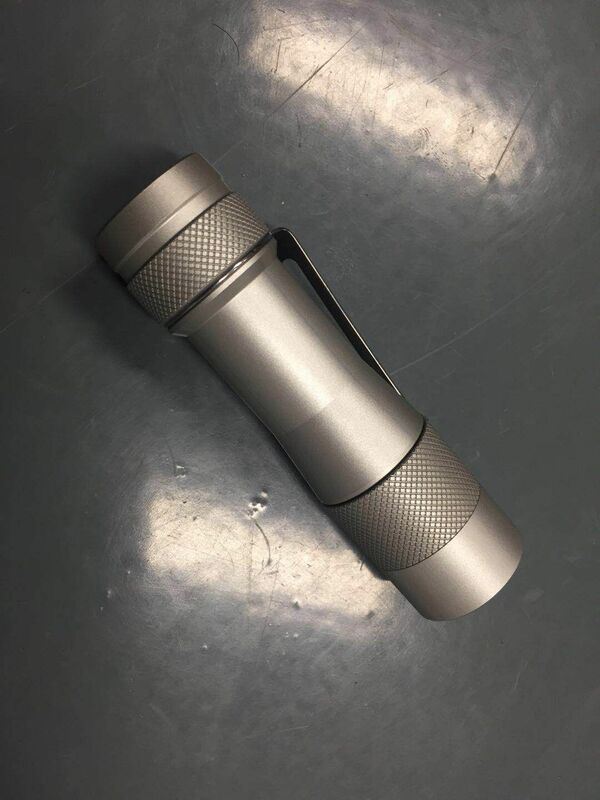 Some of the best machined and anodised torches I have are MAG-LITEs so I see no reason why this one couldn’t have a similarly good finish. I will buy this, but I’m sad that it isn’t quite what I was hoping for. I’m also keen to have this nice light. Please count me in! Also interested. Please add me to the list. I guess it is impossible to satisfy everybody.